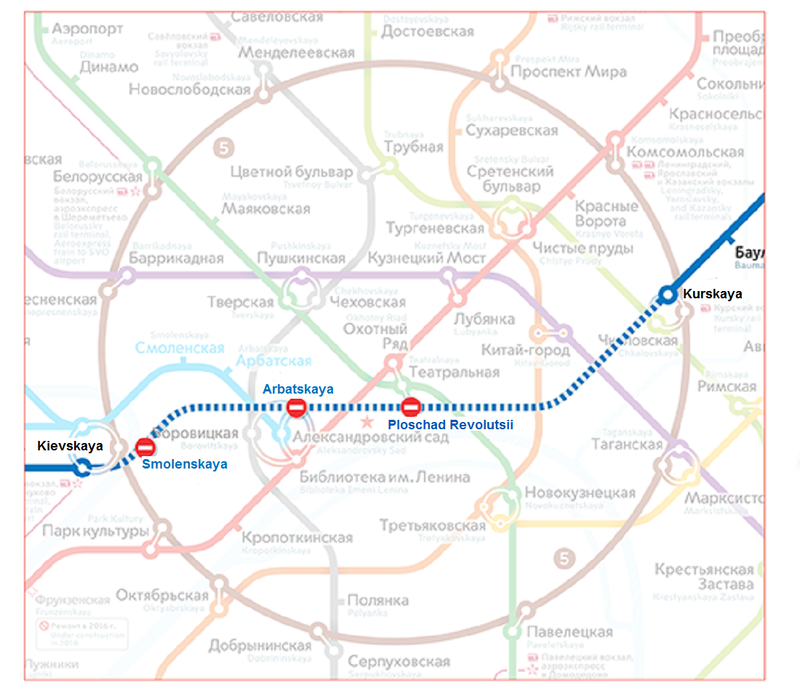 Baumanskaya metro station will be closed for reconstruction on February 8, 2015. The station will be out of service during 11 months. The station will hold capital repairs of the lobby, installation of new ticket desks, modernized turnstiles and escalators. All the engineering networks of the subway, cable, sanitary and ventilating communications will be updated. The land lobby will also be renovated; the historical appearance of the metro station will be completely kept. 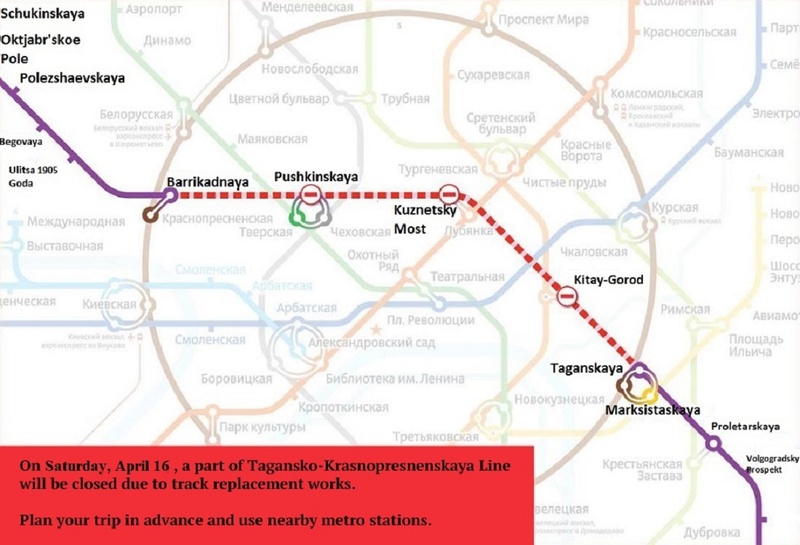 During the reconstruction, trains on Arbatsko-Pokrovskaya line will pass through Baumanskaya station without stops. For convenience of the passengers, additional routes of land transport will be organized during closing of the metro station. 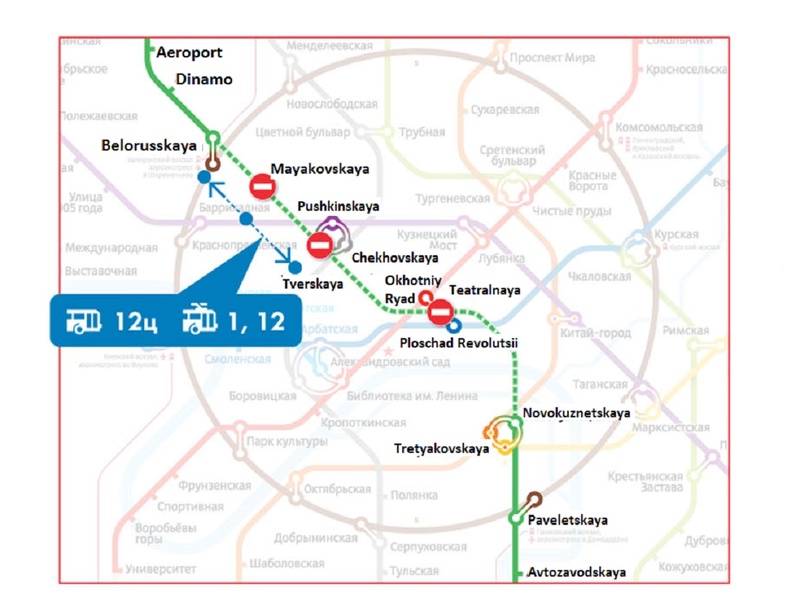 There will appear free routes – the express «M» bus and the «B» tram. 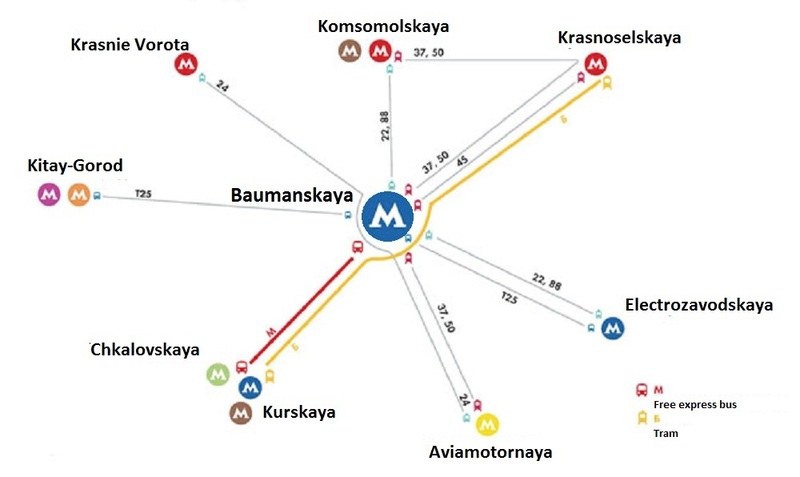 They will go to the nearest stations: Chkalovskaya, Kurskaya, Elektrozavodskaya, Komsomolskaya, Krasnoselskaya, Krasnie Vorota, Aviamotornaya and Kitay-Gorod. An allocated lane for public transport will be organized. There will also be some changes in the scheme of vehicle movement.